Solid entry into the smartphone world. 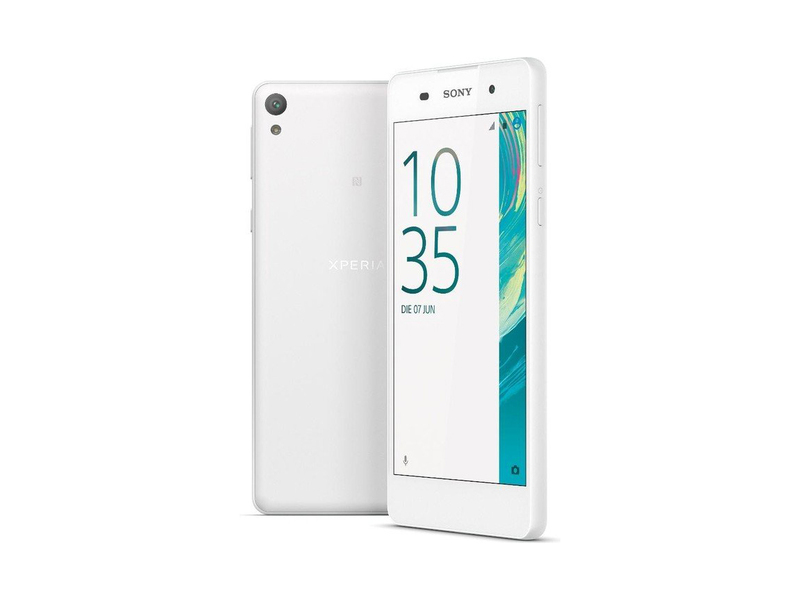 In our test, Sony's Xperia E5 entry model presents itself as a solid smartphone in the lower price range. You can find out in our review whether a purchase is worthwhile in light of the strong competition. 60% Sony Xperia E5 Review: Better Than The Moto G4? This handset isn’t quite as appealing as the Moto G4; I prefer the Moto G4’s software, which is closer to stock Android. However, if this doesn’t concern you I have no grumbles recommending this handset to someone that is after a cheap, functional, good-looking Android phone for under £150. It's a shame the Xperia E5 isn't quite the full package, as its smaller dimensions would have made it a great alternative to the big-screened Moto G4. Sadly, terrible battery life and an underwhelming camera leave little reason to recommend it, and those serious flaws make the E5 feel decidedly average. It's slightly better value if you're only paying £100 for it on Vodafone's PAYG service, but when you can get the Moto G4 for just £160 SIM-free, you might as well spend the extra and get an infinitely superior smartphone in the process. As has become Sony's usual modus operandi with its mid-range Xperia devices, the E5 is as solid and capable as they come. At R3 999, it's similarly priced to comparable devices like the Huawei GR3 and AG Mobile #Hashtag, and with the mid-range market as competitively specced and priced as it is at the moment, the Xperia E5 may find it hard to distinguish itself. 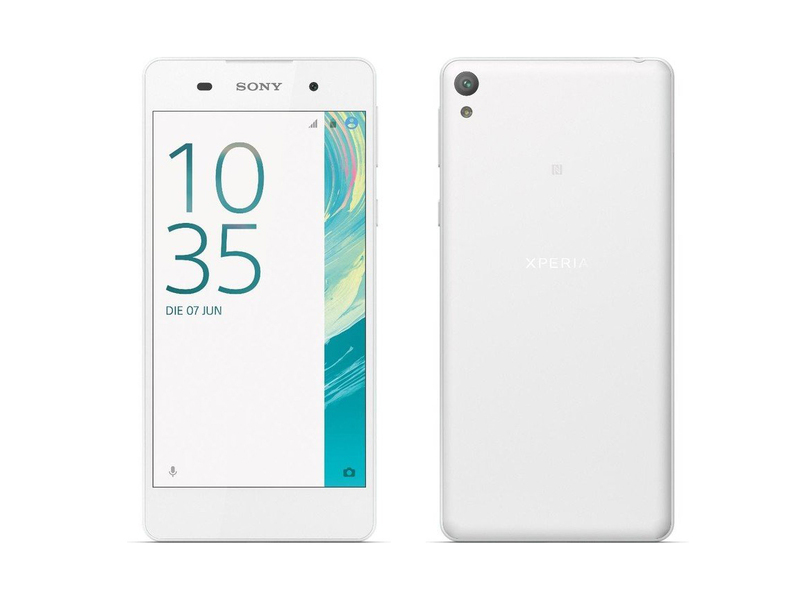 The Sony Xperia E5 is going to have to push and shove to paddle around and I’m not 100% sure it is suited to that. It’s more a quiet beauty content with gently displacing water in the corner. You’ll love her if you spend some time with her but the chances are you might miss her with all the splashing. The Sony Xperia E5 can definitely compete with other phones in the price bracket but I’m just not sure it is going to make the big splash it needs to own that side of the pool. Sony’s Xperia E5 is one of the cheapest Xperia phones you can nab these days, but holds up remarkably well compared with rivals like the Wileyfox Spark. Attractive and solid design work, respectable performance and battery life, and a decent HD screen all make for a worthy £100 handset. Affordable, entry-level smartphones are just as well-made and feature-rich as mid-rangers from last year. This doesn't sound like a remarkably profound statement when you keep hearing it every year, but still credit to Sony for coming up with a solid upgrade. Now, Sony doesn't bother with real cheap phones - which is actually fair from a brand that usually commands premium prices. Sony's base 2016 model is more of a midranger but one that keeps up with the latest trends: big screens, hi-res imaging, decent processing power, NFC, Android Marshmallow - it's all there. It's not often we get to say this, but it's probably best that, for the time being, you stay put and steer clear of the Xperia E5. That's not because it's a problematic device—the very opposite in fact! As a whole, we were pleasantly surprised by Sony's work with this affordable, €199 (~$210) smartphone, which performed well across the board. A very welcome surprise! Positive: Compact size; good performance; decent cameras. Negative: Relatively high price. Positive: Beautiful image; stylish design; quality manufacture. Negative: Many unwanted apps. Minirecenze Sony Xperia E5: naposledy levně? Positive: Solid workmanship; good sound. Negative: Relatively high price; poor performance. 71.68%: This rating is bad. Most notebooks are better rated. This is not a recommendation for purchase.